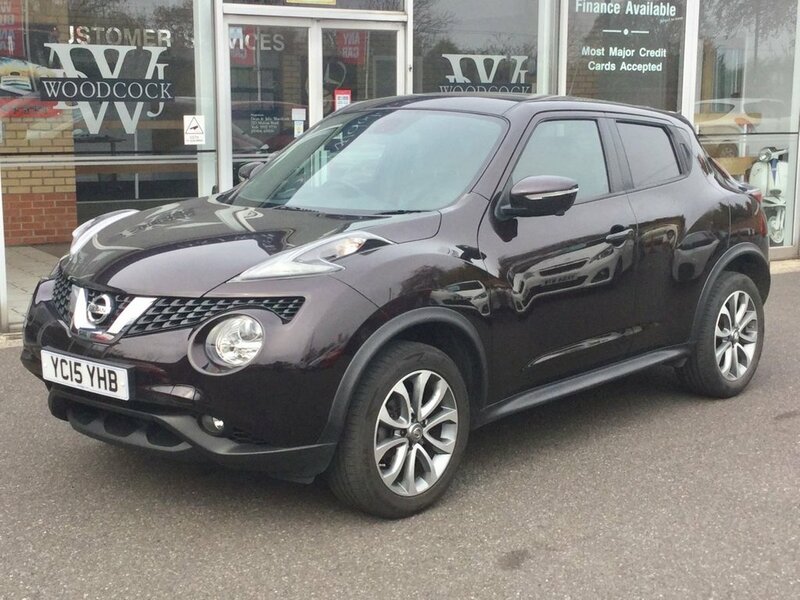 FANTASTIC LOOKING NISSAN JUKE 1.2 TEKNA DIG-T 5 DOOR HATCHBACK FINISHED IN NIGHTSHADE BLACK METALLIC WITH HEATED LEATHER SEATS. 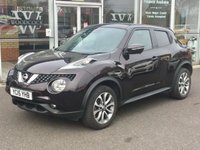 ONLY 1 LADY OWNER FROM NEW WITH FULL NISSAN MAIN DEALER SERVICE HISTORY. 2 KEYS. MOT'D UNTIL APRIL 2020. THE SPECIFICATION INCLUDES, SATELLITE NAVIGATION, 360 DEGREES CAMERA,PIANO BLACK DASH, AUTO WIPERS/LIGHTS, PRIVACY GLASS, MULTI FUNCTION STEERING WHEEL WITH CRUISE CONTROL, BLUETOOTH, REMOTE CENTRAL LOCKING, 17" ALLOYS, STOP/START, USB, MP3-AUX, DAYTIME RUNNING LIGHTS, FRONT FOGS, RADIO/CD DAB' ELECTRIC WINDOWS/MIRRORS POWERFOLDING, KEYLESS GO. THE CAR LOOKS AND DRIVES SUPERB AND ANY TRIAL OR INSPECTION IS ALWAYS WELCOME TO APPRECIATE THE QUALITY ON OFFER. #### Established in York Over 30 Years #### Reserve this Car with a Small Deposit #### Please Note All Our Vehicles Are Supplied With A Clear HPI Report Free Of Charge.